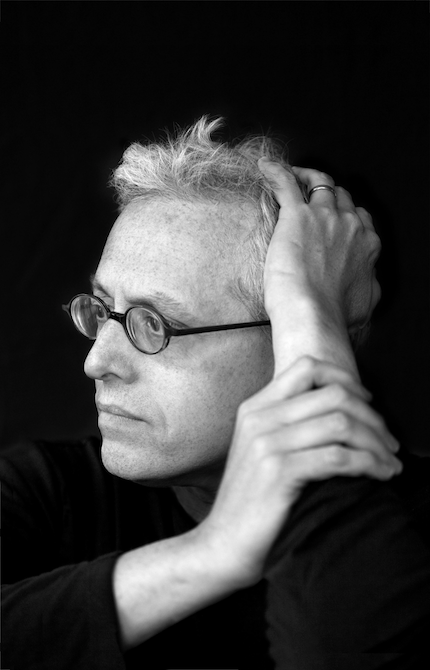 Donald Margulies is an award-winning American playwright and professor at Yale University. His most recent work, Time Stands Still, premiered last year and enjoyed a critically-acclaimed run on Broadway with Laura Linney and Eric Bogosian in the starring roles. His 2000 play, Dinner with Friends, went on to win numerous awards (including the 2000 Pulitzer Prize), and received lengthy runs Off-Broadway and in Paris, as well as productions all over the world. It was also turned into an Emmy-nominated film for HBO. Other plays include Pulitzer Prize finalists Sight Unseen and Collected Stories, as well as Brooklyn Boy, Two Days; God of Vengeance, The Model Apartment (Obie Award winner), The Loman Family Picnic, Found a Peanut, Luna Park, and What’s Wrong with This Picture?, which was produced on Broadway in 1994. Margulies is the recipient of the 2000 Sidney Kingsley Award for outstanding achievement in the theatre by a playwright and is a member of the council of the Dramatists Guild of America. He has received grants from the National Endowment for the Arts, The New York Foundation for the Arts, and the John Simon Guggenheim Memorial Foundation. In 2005 he was honored by the American Academy of Arts and Letters with an Award in Literature and by the National Foundation for Jewish Culture with its Award in Literary Arts. When you were growing up, what did your parents do for a living? My father sold wallpaper at Pintchik’s on Flatbush Avenue in Brooklyn for over forty years; my mother was a housewife for the first ten years of my life, before going back to work as a bookkeeper and, later, as an office manager in an advertising agency. Neither were college graduates, nor were they intellectuals, yet they were mavens for popular culture. I have said that my family didn’t go to synagogue but we went to Broadway, and that more or less sums it up. I recall many Sunday mornings when my father played cast albums on the hi-fi. My mother died, suddenly, when she was fifty-one and I was twenty-three, so she missed out on my struggles and successes; my father lived to see my off-Broadway debut, Found a Peanut, at the Public Theatre in 1984, but passed away three years later, well before I had my breakthrough (Sight Unseen, in 1992). Were they supportive of you pursuing a career in the arts? My parents [never] undermined my artistic ambitions. By the time of her death in 1978, my mother knew I had shifted my concentration from graphic design to playwriting but had few opportunities to see if I had any talent. Still, she supported my decision unequivocally. My father never truly understood why or how I did what I did but he never questioned it. (Despite assumptions to the contrary, Manny Weiss, the father in Brooklyn Boy, is not a stand-in for my father.) Both my parents were present at my debut as a playwright, when I was 21, and still an art student at Purchase. It was a seminal event in my life and I am grateful that they were in attendance on the night I decided to be a playwright. What’s your earliest memory of seeing a piece of art that inspired you? I became hysterical when Mickey Mouse’s brooms started dancing in the “Sorcerer’s Apprentice” segment of Fantasia, and my mother had to whisk me out of the movie theater. A few years later, I saw my first Broadway play, A Thousand Clowns, which made an indelible impression on me – and it wasn’t just the hula girl novelty lamp used in the production, whose breasts lit up and blinked alternately. Were you a “theater kid” in high school? Not really. I mostly hung out in the art department. At John Dewey High School in Coney Island (the Oscar-winning composer Elliott Goldenthal was one of my classmates), I also had the distinction of being both the art editor and the co-literary editor of the school art-and-literary magazine. I wrote a short story containing language that got me into hot water: the principal impounded the magazine, the ACLU leapt to my defense, and I won the case in U.S. District Court. My first brush with the media, at age 18. But that’s another story. You attended school for visual arts at SUNY Purchase. Was graphic design your main focus or were you always secretly hoping to pursue writing? When I was a boy, I drew all the time and was apparently good at it. My parents didn’t have much money and when it came time for college, Pratt Institute gave me a partial scholarship, so I went to Pratt Institute. But while I was there, immersed in foundation art courses like Light and Color, and Form and Space, I found myself itching to read and write. In order to satisfy that craving, I transferred to Purchase, then a new college in the SUNY system specializing in the arts. There, in addition to my visual arts curriculum, I took liberal arts classes in Faulkner and U.S. Foreign Policy and studied playwriting in tutorial with the critic Julius Novick. I don’t know why I gravitated toward dramatic writing and not fiction, but I did. I wrote my first one-act plays under Novick’s mentorship and he was tremendously supportive. He told me I was good at playwriting and that I should continue doing it. I think we all need or have had someone like that in our lives, someone who validates our talent. What were those first few years like in New York City after college? Did you feel overwhelmed? Very briefly, for eight weeks in 1978, I was a student in the MFA creative writing program at Brooklyn College. Needless to say, it wasn’t a good fit. So when I left I contacted Julius Novick, my college mentor, to see if he knew of any playwriting groups. He put me in touch with Jeffrey Sweet who, providentially, was in the process of assembling such a group in conjunction with a tiny off-off-Broadway theatre. That group, of which I became a founding member along with a handful of other playwrights and actors, evolved into The New York Writers’ Bloc, which proved invaluable to my development as a playwright. Most of the plays I wrote in the late seventies, early eighties, began in The Bloc, where I had the benefit of writing with specific actors in mind and hearing the work read every Monday night. What did you do for money during this time? While I wrote these early plays I worked as a freelance graphic designer, happily and steadily, at various places like Harcourt Brace Jovanovich (where I designed ads for Warren Leight’s copy), Hearst Magazines, the National Lampoon, and Avon Cosmetics. What was great about freelancing and being paid upwards of $12 an hour – not bad for a single person at the time – was that I had some control of my schedule and could work at home: a 450-square-foot railroad flat in Hell’s Kitchen for $230 a month. What was your first paid writing job? My first writing gig came out of The Bloc: Anne Meara and Jerry Stiller, who were members of the group, were looking for a non-Writer’s Guild writer to work on a monthly half-hour information and comedy show they were doing for a fledgling pay-cable station called Home Box Office. They liked me and liked my work and asked me to submit a spec script to the producer. I got the job. In March 1980, I quit my day job (as an art editor at Scholastic Magazines) and became a full-time, paid writer. My involvement with the HBO show lasted almost two-and-a-half years. And I never worked professionally as a graphic designer again. Did you live anywhere other than the greater New York area in your 20s? Ever escape? I came of age in Hell’s Kitchen – 417 West 47th Street – where I rented an apartment beginning in 1979 (I gave it up in 1990 when my wife and I bought our first house in New Haven and I felt saddled with more real estate than I could handle). Aside from a summer in the early eighties when I shared a rental in Sag Harbor with my friend (and, later, fellow playwright) Jane Anderson, I didn’t get out of the city very much. That was the summer I wrote Found a Peanut. Can you talk about that transition from working in graphic design to having your first play produced Off-Broadway? It may have seemed like an eternity at the time but it actually wasn’t long (not in retrospect, anyway, from my mid-fifties) before I began to see my work produced. Even when I was working steadily as a graphic designer, I defined myself as a playwright. It’s possible that that magical self-confidence (totally unfounded in 1977-1982) helped sustain me during my darker days. After you started getting your plays produced, were you able to make a living from that or did you still have to take other, non-creative work? I have earned a living solely from my writing for over thirty years. Mind you, there were some years I earned nothing or next-to nothing as a playwright but I was fortunate enough to subsidize my ambition as a writer-for-hire in television and later in film (I still do). I earned a few hundred dollars for each of my first produced plays in 1982-83 (Luna Park, Resting Place, and Gifted Children), and a few thousand dollars for Found a Peanut in 1984. The following year, on the basis of What’s Wrong With This Picture?, which had not yet had a production, I was selected by Norman Lear’s company, Embassy Television, to be one of five playwrights hired to develop comedy series. They gave us a minimum of $15,000, which was like winning the lottery in the early eighties. I wrote a pilot script for CBS, the first of a few I’ve written over the years – none of which was ever made but for which I was paid. Get the idea? I began to see development deals as playwriting grants. For a short time in 1987, following a crippling Writers’ Guild strike (I had since joined after my early, non-union days at HBO) during which I earned zero dollars, I succumbed to an offer to co-executive produce a television series. Like my stint as a graduate student nearly ten years earlier, I discovered that I was not cut out for the madness of running a weekly series. I quit after six days. But I stayed on in Los Angeles (I had paid ten weeks’ rent for a sublet in advance), wrote a few individual episodes for that ill-fated series and managed to successfully pitch two movie ideas (neither of which – big surprise! – went beyond the development phase). So, things were happening for me. Sort of. A lot of artists struggle with the business side of things – coaxing managers, agents, etc. and mining those waters – was that ever a struggle for you or did you find that that stuff came easier? Since you started out by pursuing a different artistic medium (visual art), how did you convince yourself in your early career that playwriting was what you wanted to ultimately pursue? Was there ever a time when you considered giving it up? Any final advice for young playwrights starting out in the city? Don’t work in a vacuum. Unlike fiction writers, playwrights need other people to bring their work to life. Find a group of fellow theater people; create one of your own, if necessary. Give your life some structure, the internal pressure of producing pages every week. See as much theater as you can, however you can. This entry was posted in Writers and tagged "Dinner with Friends", "Time Stands Still", Donald Margulies, Lauran Linney on Broadway, Lucas Kavner, Pulitzer Prize, Pulitzer Prize-winning playwright. Bookmark the permalink.